It’s Sourced Locally Fortnight (5 – 18 June 2017), and to celebrate we have been working with our client, the East of England Co-op, to create this incredible portrait of ten prominent business leaders in food and agriculture. Sourced Locally was set up in 2007 to support local producers and encourage shoppers to buy local, seasonal, quality produce. There are now thousands of local products in East of England Co-op food stores, and the scheme has ploughed £57 million back into the region. 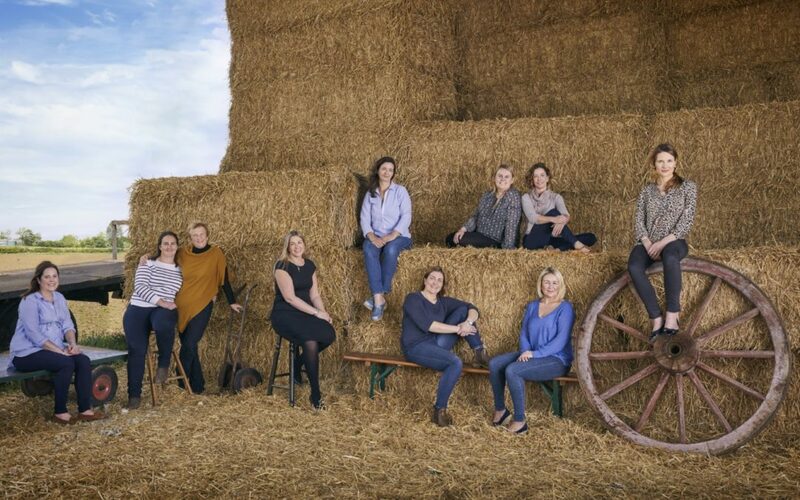 The all-female shot was commissioned to mark the tenth anniversary of the award-winning Sourced Locally initiative, which brings local produce to shoppers, and was taken by renowned photographer Jenny Lewis. The portrait celebrates ten inspiring women who are helping to lead the future of food and drink production. A recent study shows that women account for 30% of the food and drink manufacturing workforce in the UK. (1) In agriculture, 28% of the workforce are female, with more than 25,000 running farms(2). However, with the number of women enrolling on agricultural courses now overtaking men(3), this gender imbalance looks set to become a thing of the past. Jenny commented: “I am proud to be a regular champion of strong women in my work, so I was keen to be involved in this project. Interested in finding out more? Contact Pier Marketing on 01394 646400 or email us here.